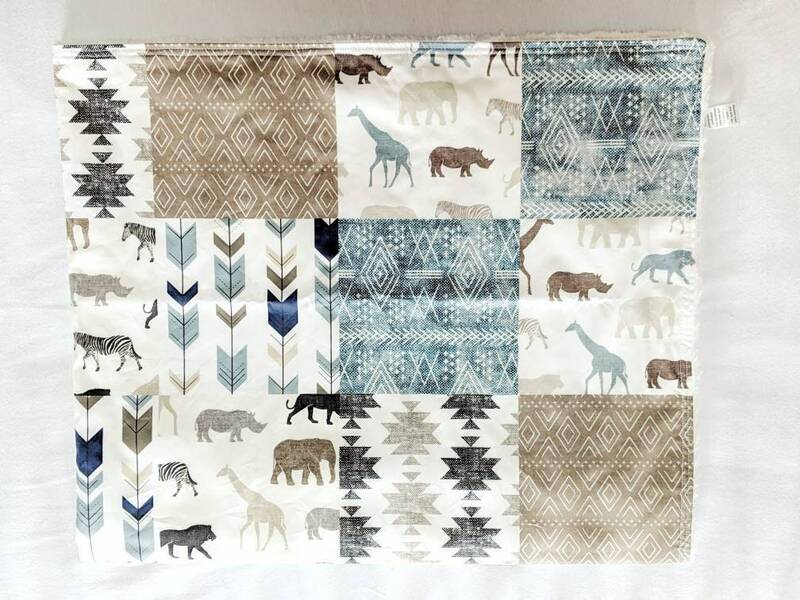 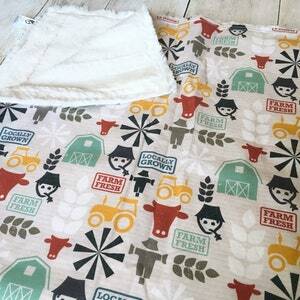 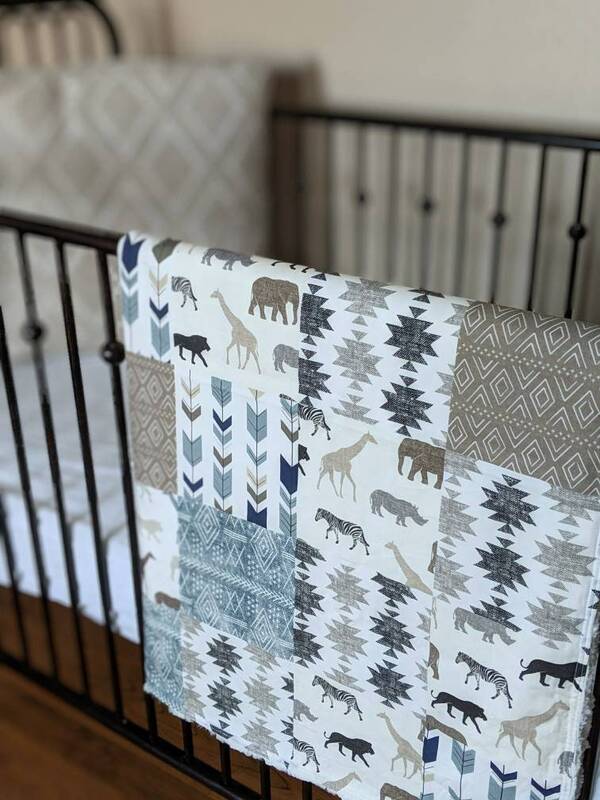 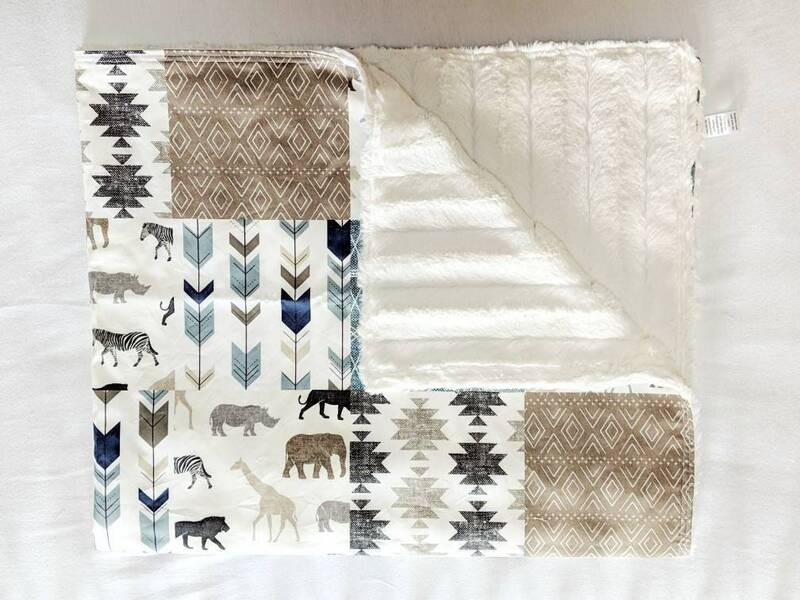 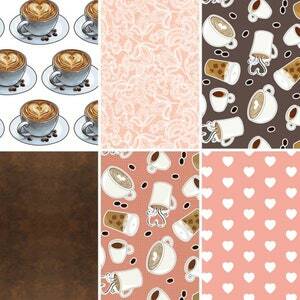 This faux patchwork minky blanket is the perfect mix of neutral colors and safari favorites. 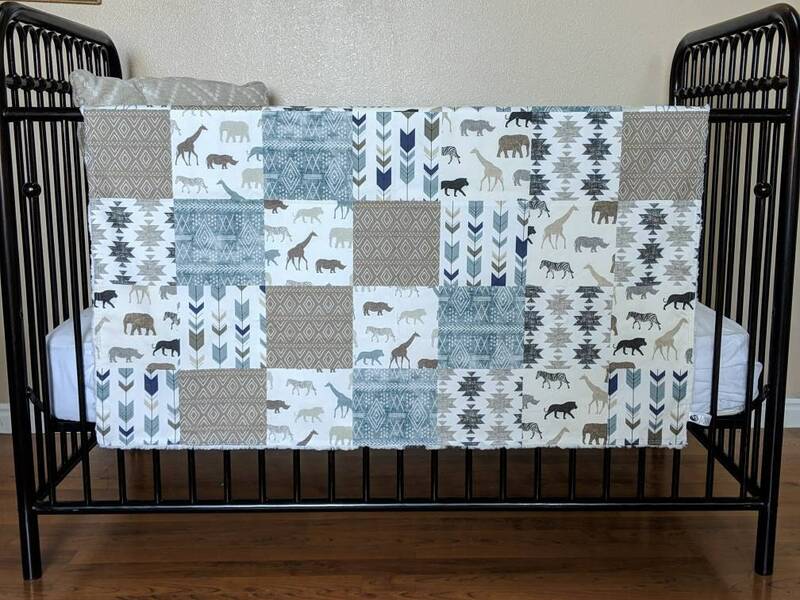 It measures approximately 40 x 35 inches which is great for babies and toddlers alike. 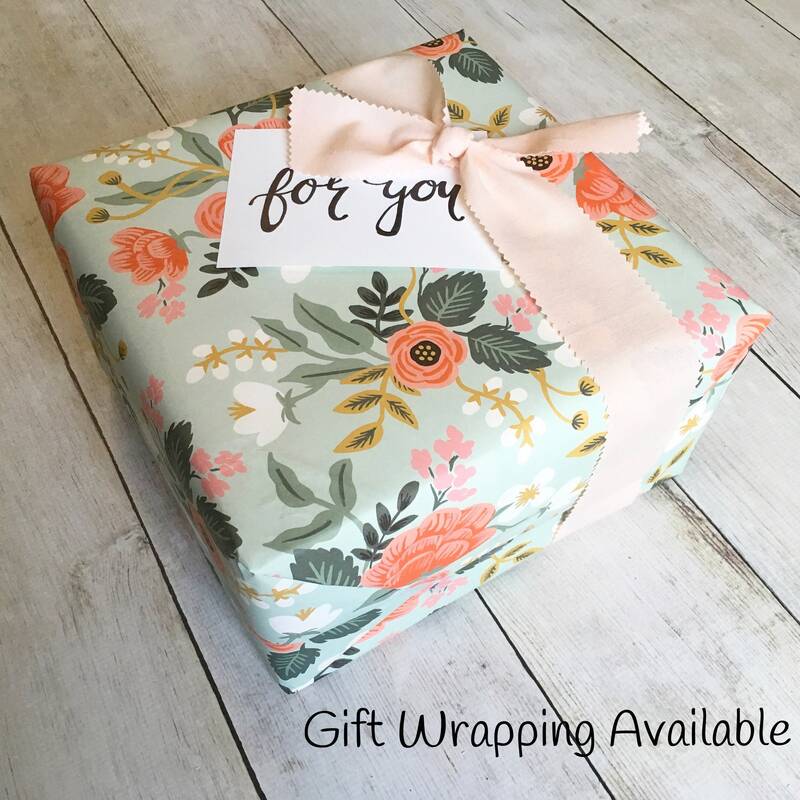 It's also not too big to take with you on the go. 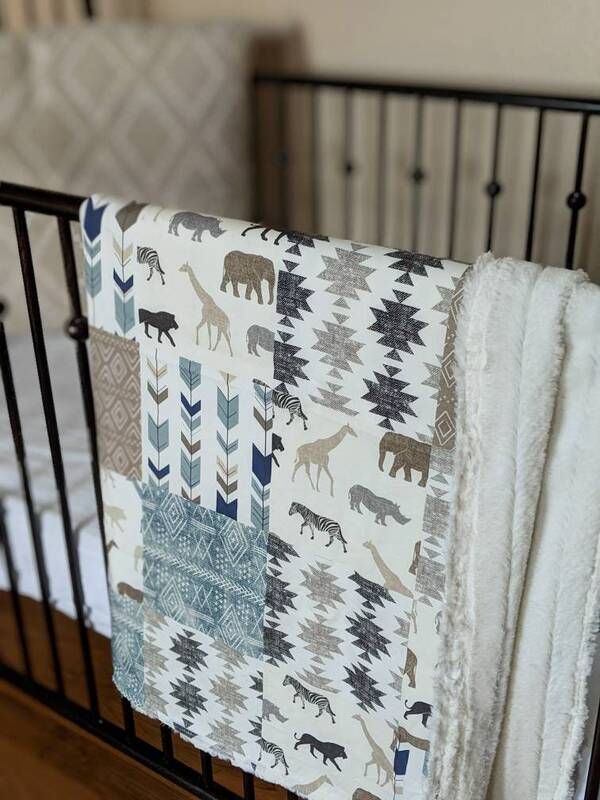 The perfect blanket to use all year round! 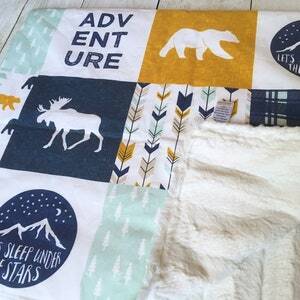 Blankets can be cared for by washing with cold water on gentle cycle. 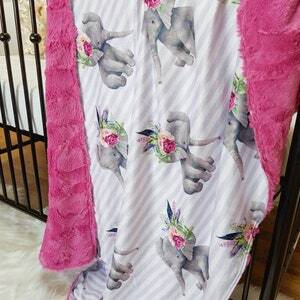 Air dry or machine dry on low heat to preserve bright colors.